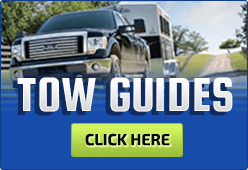 Salem RV Sales is an Pennsylvania RV Dealer that offers New RVs For Sale, Used RVs For Sale, and RV Specials from top Manufacturers like Forest River RV! Financing is available (apply online), and we do take trade-ins. Whether you love hunting, fishing, racing, going to the beach, or you just want to spend quality time with your family, you can do it all in a Salem RV. We've been selling RVs in Selinsgrove, Pennsylvania since 1986. Warranty service for Dometic, Carefree, Suburban, Atwood, Norcold, and Forest River RVs. Shop for RV parts at our Selinsgrove location, or contact us and we can ship to you anywhere in the world. Call (800) 720-3678 or email us.